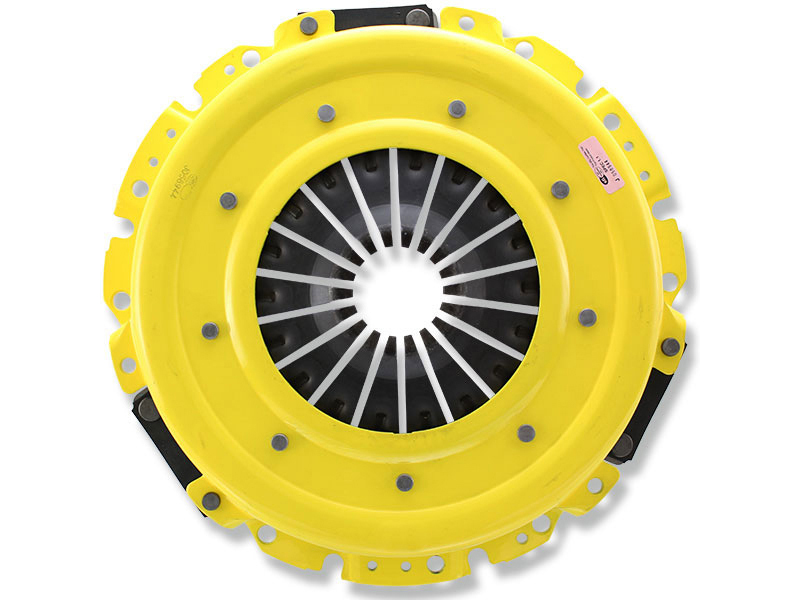 MB010XXX is an ACT pressure plate that uses exclusive diaphragm design to increase clamp load, reduce deflection and maximize clutch life. All diaphragms endure a four-stage, heat-treating process for unparalleled performance. ACT pressure plates have precision cover stampings to provide rigidity and consistency. ACT's MaXX Xtreme pressure plates increase clamp load by 70 to 150 percent. MaXX Xtreme pressure plates are recommended for use with a race disc. This pressure plate was designed for the race guys that need that extra clamping force the 2900 pressure plate can't provide. Usually a custom (hence it's name) order item only, we have pre-ordered and stocked these pressure plates so our customers wouldnt' have to. No need to wait the standard 2-3 week wait time anymore, we have these pressure plates shelf stocked. Utilizing ACT's puck discs, these pressure plates have been tested to hold over 700 ft. lb. of torque.